63 Commercial Real Estate and Properties in Sydney Northern Suburbs are listed in 6 categories. We have 28 Retail Shops for Sale & Lease , 24 Offices for Sale & Lease , 6 Development Lands for Sale & Lease , 3 Medical and Consulting Properties for Sale & Lease , 1 Showrooms for Sale & Lease and 1 Other Commercial Properties for Sale & Lease . Close To Public Transport | Cheap Parking | Enviable Location $367pw | 3 Person Workspa..
PROPERTY OVERVIEW $367pw Price incl. Large serviced office located in North Ryde, NSW. Price incl. Internet, Telephone, Electricity & Kitchen Flexi terms Private Personal receptionist Fully furnished 24/7 access Perfect Location "A" grade building Avail NOW for short or long term lease Avaya house is prominently located in North Ryde which is widely considered Sydney's "Silicon Valley" a premier technology district. North Ryde is home to Microsoft, Sony, Hitachi, Hewlett Packard and many other due to it's central location between Sydney's North Shore business districts, Sydney CBD, Parramatta, Chatswood and the airport. The advertised office space is perfect for a team of 3. If you need more or less space, we have over 30,000 furnished workspaces all over the world suitable for a team of 1 to 200+. Our award winning team offer a free service that will help you find the perfect solution for your needs, so reach out if you need more help. What you get for your weekly rent Furnished office with desks, chairs and lock up storage units Commercial grade internet service Telephone line and personalised phone answering Use of kitchen facilities with premium coffee/tea service Electricity usage included Complimentary receptionist to meet and greet your clients Prestigious business address Flexible terms from 1 month to long term Ability to bring your existing phone number over Business lounge with complimentary break out areas 24 x 7 Access to your office 24 x 7 security Office features Immaculate fit out and facilities Full mail management and postage Large boardroom and meeting rooms Signage board in foyer to highlight your business name Professional environment Server / Comms rooms available for server storage Building features Modern high rise classified as an "A" grade building 24 x 7 access to your office High speed lifts Car parking in building and surrounding areas Dedicated on site management team The advertised price includes building outgoings and is based on one person occupying the workspace. If you have 2 or more people extra fees will apply to cover off services like telephone, internet and kitchen amenities. 150m to Public Transport buses 200m to National Par 250m to Post office 600m to Macquarie City rail station 5min walk to Swimming pool, tennis courts and BBQ area WHO IS OFFICE HUB? Office Hub is Australia & New Zealands No 1 small office space commercial real estate agency. We have the largest collection of shared spaces, coworking and serviced offices in Australia & New Zealand, perfect for 1 200 employees. Let us take you on a tour of all the spaces that fit your needs and budget. Our service is complimentary and we work for you and the landlord to negotiate the most competitive deal in the market. Let us show you how shared and serviced offices can be the perfect solution for your business. www.office hub.com.au www.office hub.co.nz Conditions apply A portion of the square meterage factors in access to shared space. Price includes any incentives offered. This is for new tenants only. Brightly Lit | Incentives For 12+ Months | Economical Workspace $242pw | 3 Person Workspa..
PROPERTY OVERVIEW $242pw Price incl. Retro style meets modern facilities at this quirky shared office space in Ryde! If you’re looking for a workspace with way more personality, this rare gem of an office space in Top Ryde City Shopping Centre will suit you down to the ground. There are 8 spare coworking desks in an open plan, light filled office shared with creative, hospitality and bookkeeping businesses. This workspace is offered at a great price in an easily accessible location, but it’s all about the styling and good vibes – vintage art, mismatched prints, quirky furniture and a retro coffee machine come together in a unique retro look that you won’t find anywhere else, while the numerous breakout areas feature table tennis, air hockey and a dartboard to give you more chances to get away from your desk, socialise and regroup. But there’s nothing retro about the modern amenities as you get commercial grade Wi Fi, printers, scanners and several meeting rooms all included in the advertised price. There is also a kitchen, lunch table and bathroom within the office. This shared office space in Ryde delivers a high standard of workspace without sacrificing on quirky style or a vibrant atmosphere, with a result that will set your business apart from the rest. Book a tour now and you’ll see that professional doesn’t have to mean boring! This spacious shared office is located in Top Ryde City Shopping Centre to deliver an awesomely convenient, prominent and lively office address for any business. The new shopping centre commands a reputable and well known presence in Ryde Town Centre, spanning an entire block on the highest vantage point between Parramatta and Sydney CBD. Located on a major intersection with 95,000 vehicles passing by each day, public transport buses right outside and the M2, M4 AND M7 nearby, Top Ryde City is at the centre of it all. You’ll break out of the office to find popular restaurants such as Bondi Pizza, Coco Cubano, Guzman y Gomez and Sushi Roll, a wide range of high street shops and supermarkets and other attractions including Event Cinemas, Fitness First, Monkey Mania and My Gym Australia. The shopping centre offers staff car parking at $5/day and the first three hours of visitor parking are free. If you’re looking for an amazing workspace in a Ryde location that every member of your team can conveniently access, look no further than this shared office space in Top Ryde City Shopping Centre. The advertised office space is perfect for a team of 3. If you need more or less space, we have over 30,000 furnished workspaces all over the world suitable for a team of 1 to 200+. Our award winning team offer a free service that will help you find the perfect solution for your needs, so reach out if you need more help. What you get for your weekly rent , 24/7 Access , 24/7 Security , Access to kitchen facilities , Access to secure printer and scanner , Building outgoings included , Commercial grade internet , Electricity usage included , Flexible terms , One simple bill for everything related to your workspace , Plug and play furnished workspace Building features , Air conditioning , Bicycle storage , Car parking in building (Paid) , Creative space , Disabled access and facilities , Onsite Cafe / Restaurant , Open plan layout , Retail and shopping malls in building 450m to Ryde Park Great variety of cafes and restaurants in the building 2.2km to West Ryde Station Easy access to the A3 and A40 Who is Office Hub? Office Hub is the world\'s No.1 marketplace for office space. We have a huge global selection of coworking spaces, serviced offices and shared office spaces with flexible options to suit teams from 1 200 people. We\'ll take you on a tour of all the workspaces that fit your needs and work on your behalf to get the best price possible. We\'ll help you discover how shared office space can be the most beneficial and budget friendly solution for your business. www.office hub.com Conditions apply – the advertised price includes any incentives offered based on a 12 month agreement and is available to new tenants only. Please note that the rental rate may increase for a shorter rental period. A portion of the square meterage factors in access to shared space. This retail space has recently become available and would be suitable for a number of different operators. This property offers a great amount of exposure to the thousands of passing cars on Lane Cove Road everyday. 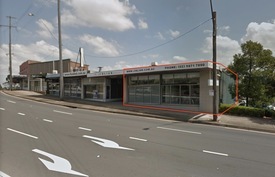 This could be a great opportunity for a new food premises to join the likes of surrounding food outlets (McDonald's, KFC, Subway) Property Features Include: Previous news agency fit out available Key location on Lane Cove Road HUGE exposure Adequate customer parking at rear Lock up garage Rear lane access Contact Sutton Anderson for more information today! $162pw | 2 Person Workspa..
PROPERTY OVERVIEW $162pw Price incl. Retro style meets modern facilities at this quirky shared office space in Ryde! If you’re looking for a workspace with way more personality, this rare gem of an office space in Top Ryde City Shopping Centre will suit you down to the ground. There are 8 spare coworking desks in an open plan, light filled office shared with creative, hospitality and bookkeeping businesses. This workspace is offered at a great price in an easily accessible location, but it’s all about the styling and good vibes – vintage art, mismatched prints, quirky furniture and a retro coffee machine come together in a unique retro look that you won’t find anywhere else, while the numerous breakout areas feature table tennis, air hockey and a dartboard to give you more chances to get away from your desk, socialise and regroup. But there’s nothing retro about the modern amenities as you get commercial grade Wi Fi, printers, scanners and several meeting rooms all included in the advertised price. There is also a kitchen, lunch table and bathroom within the office. This shared office space in Ryde delivers a high standard of workspace without sacrificing on quirky style or a vibrant atmosphere, with a result that will set your business apart from the rest. Book a tour now and you’ll see that professional doesn’t have to mean boring! This spacious shared office is located in Top Ryde City Shopping Centre to deliver an awesomely convenient, prominent and lively office address for any business. The new shopping centre commands a reputable and well known presence in Ryde Town Centre, spanning an entire block on the highest vantage point between Parramatta and Sydney CBD. Located on a major intersection with 95,000 vehicles passing by each day, public transport buses right outside and the M2, M4 AND M7 nearby, Top Ryde City is at the centre of it all. You’ll break out of the office to find popular restaurants such as Bondi Pizza, Coco Cubano, Guzman y Gomez and Sushi Roll, a wide range of high street shops and supermarkets and other attractions including Event Cinemas, Fitness First, Monkey Mania and My Gym Australia. The shopping centre offers staff car parking at $5/day and the first three hours of visitor parking are free. If you’re looking for an amazing workspace in a Ryde location that every member of your team can conveniently access, look no further than this shared office space in Top Ryde City Shopping Centre. The advertised office space is perfect for a team of 2. If you need more or less space, we have over 30,000 furnished workspaces all over the world suitable for a team of 1 to 200+. Our award winning team offer a free service that will help you find the perfect solution for your needs, so reach out if you need more help. What you get for your weekly rent , 24/7 Access , 24/7 Security , Access to kitchen facilities , Access to secure printer and scanner , Building outgoings included , Commercial grade internet , Electricity usage included , Flexible terms , One simple bill for everything related to your workspace , Plug and play furnished workspace Building features , Air conditioning , Bicycle storage , Car parking in building (Paid) , Creative space , Disabled access and facilities , Onsite Cafe / Restaurant , Open plan layout , Retail and shopping malls in building 450m to Ryde Park Great variety of cafes and restaurants in the building 2.2km to West Ryde Station Easy access to the A3 and A40 Who is Office Hub? Office Hub is the world\'s No.1 marketplace for office space. We have a huge global selection of coworking spaces, serviced offices and shared office spaces with flexible options to suit teams from 1 200 people. We\'ll take you on a tour of all the workspaces that fit your needs and work on your behalf to get the best price possible. We\'ll help you discover how shared office space can be the most beneficial and budget friendly solution for your business. www.office hub.com Conditions apply – the advertised price includes any incentives offered based on a 12 month agreement and is available to new tenants only. Please note that the rental rate may increase for a shorter rental period. A portion of the square meterage factors in access to shared space. Opportunity For Shared Premises Professional Rooms $250 per week + GST per r..
Abundance Of Natural Light | Cafes And Shops Nearby | Free Meeting Rooms $270pw | 3 Person Workspa..
PROPERTY OVERVIEW $270pw Price incl. Sleek and professional shared office space for rent in Macquarie Park, North Ryde. Rent this desk space and enjoy a premium corporate building, smart meeting room and fabulous location close to North Ryde train station. Currently there are just two professionals in this office and they have three spare desks, so here’s the chance for new office mates to come and share their amazing workspace! You’ll get a large dedicated desk, fast internet connection, access to printers and scanners, a spacious kitchen and relaxing garden views – it has everything you need to buckle down and grow your business. The workspace itself is light, bright and airy with full height balcony doors granting a lovely green outlook and natural sunlight all day long – if you’re lacking inspiration in your current office space, you’ll love the positive atmosphere on offer here. Small business owners, contractors, freelancers – everyone is welcome and flexible terms starting from one month are available to find the right agreement for you and your business. Enquire or book a tour at this fabulous and highly desirable Macquarie Park office space today! This prestigious North Ryde shared office space is a brand new corporate building with professional fitouts, high end facilities and amazing views over Lane Cove National Park. There is a cafe in the lobby and dozens of free visitor parking spaces while this sought after location is incredibly well linked by road and public transport. It’s a 300m walk to North Ryde railway station and there’s an excellent bus service right at the front of the premises which links to Chatswood, Eastwood and Parramatta. Access to the M2 motorway is also under 500m away. Office space in the Macquarie Park precinct grants tenants a convenient lifestyle close to casual eateries, fine dining restaurants, conference facilities, gyms, tennis courts and swimming pools, while main shopping centres are just a couple of stops away on the train. The advertised office space is perfect for a team of 3. If you need more or less space, we have over 30,000 furnished workspaces all over the world suitable for a team of 1 to 200+. Our award winning team offer a free service that will help you find the perfect solution for your needs, so reach out if you need more help. What you get for your weekly rent , 24/7 Access , 24/7 Security , Access to internal breakout areas , Access to kitchen facilities , Access to secure printer and scanner , Building outgoings included , Electricity usage included , Flexible terms , FREE use of the meeting rooms , One simple bill for everything related to your workspace , Plug and play furnished workspace , Regular cleaning , Secure high speed Internet Building features , Abundance of natural light , Air conditioning , Car parking in building (Paid) , Direct access to public transport , Disabled access and facilities , Onsite Cafe / Restaurant , Print, scan and copy facilities , Taxi / Uber stand close to building 450m to North Ryde train station 170m to bus stop (station link) 3.9km to Macquarie University and Macquarie Shopping Centre Multiple restaurants and cafés nearby Who is Office Hub? Office Hub is the world\'s No.1 marketplace for office space. We have a huge global selection of coworking spaces, serviced offices and shared office spaces with flexible options to suit teams from 1 200 people. We\'ll take you on a tour of all the workspaces that fit your needs and work on your behalf to get the best price possible. We\'ll help you discover how shared office space can be the most beneficial and budget friendly solution for your business. www.office hub.com Conditions apply – the advertised price includes any incentives offered based on a 12 month agreement and is available to new tenants only. Please note that the rental rate may increase for a shorter rental period. A portion of the square meterage factors in access to shared space. Fitted out with 2 consulting rooms Reception and waiting room DA approved as a beautician Lovely Village atmosphere Ample customer parking Great opportunity to lease and then move to new development within the centre. Fabulous opportunity for pop up retail space. Areas from 60m2 to 110m2 available Bustling local shopping village servicing a large area. Ample parking available for customers and staff Enquire today! Medical suites for rent with shared reception and 11 car spaces. 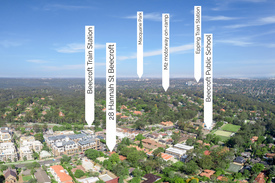 High profile position opposite Beecroft Beecroft Place Shopping Centre and a short walk from the railway station. Shared reception in a long established medical centre with current tenant on a long term secured lease. Flexible terms available. An incredibly valuable 11 car spaces with easy access for patients off Beecroft Road completes the picture. Available now is this house style office. Ideal for professional use. With a house like layout and beautiful garden the property presents an exceptionally pleasant workspace. Capitalise on the corner position with huge exposure and dual entry from two separate streets. Property features include: Polished timber floors throughout Split system a/c, natural light Ideal corner location, great exposure Signage opportunities available Ample off street parking Single garage or storage New kitchen, bathroom facilities Beautiful garden well maintained Contact Sutton Anderson for more information today! ~ Office, Showroom or Shop approx. 90sqm. ~ Rear yard area with ample parking accessed from Shirley Street. ~ Large shop front with main road exposure. ~ Signage available. ~ Rent Free Period offered to assist with fit out. ~ Zone B2 Local Centre will suit a variety of uses from retail, showroom, offices, entertainment etc. ~ 2 to 5 year lease term offered ~ Office or Shop approx. 240sqm ~ Rear yard area with ample parking accessed from Shirley Street ~ Large shop front with main road exposure ~ Signage available ~ Secure building ~ Zone B2 Local Centre will suit a variety of uses from retail, showroom, offices, entertainment etc. Three (3) Months Rent Free* Under Offer - Ivor Zhou 0.. Situated directly opposite to Epping Railway Station and bus stop, this ground floor shopfront enjoys great exposure from Langston Place. This retail shop with office and storage space offering a fantastic opportunity to occupy Epping's busy retail precinct. With its high visibility street front façade, the property is suitable for retail, showroom, medical, beauty, cafe, professional service and a wide range of other uses (STCA). Retail shop with office and storage 134sqm Excellent exposure to Langston Place Opposite to Epping Railway Station Flexible lease terms Three (3) months rent free on a minimum Three (3) year lease term. For more information contact Ivor Zhou 0430 248 867 or Anthony Parisi 0415 902 329 . Disclaimer: All data is provided for information purposes only and while all care is taken in its presentation, Shead Property does not guarantee or warrant the accuracy, completeness or currency of the information. Self-contained First Floor Office In Prime Epping Location Under Offer - Ivor Zhou 0.. Located within the busy Epping retail precinct, only 30m walk from Epping railway station is this well accommodated office space. With 120sqm of space, is self contained, has dual access, is great for a variety of uses including coaching college, medical/consulting, professional service and more (STCA). Great Signage Dual Access Fully Self Contained Busy Neighborhood Precinct Air conditioned 120sqm approx. Contact Ivor Zhou 0430 248 867 or Henry Farrel 0468 868 573 Disclaimer: All data is provided for information purposes only and while all care is taken it is presentation Shead Property does not guarantee of warrant the accuracy, completeness or currency of the information. Regular Cleaning | Bike Racks & Showers | Great Location $207pw | 2 Person Workspa..
PROPERTY OVERVIEW $207pw Price incl. 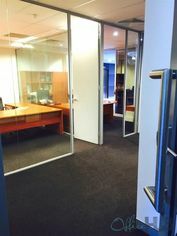 Private office space in North Ryde. Price incl. 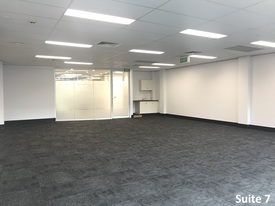 Rent, Internet, Electricity & Building outgoings Flexi terms Access to shared kitchen facilities 24/7 access Regular cleaning Great location All avail NOW for short or long term rent Positioned in North Ryde, this brand new building now offers excellent office space. Plenty of parking is located near by as well as Ryde Train Station. With great ammenities within a short walk there is no need to be in the busy and expensive CBD. The workspace comes furnished for you to plug and play and get started tomorrow! The advertised office space is perfect for a team of 2. If you need more or less space, we have over 30,000 furnished workspaces all over the world suitable for a team of 1 to 200+. Our award winning team offer a free service that will help you find the perfect solution for your needs, so reach out if you need more help. What you get for your weekly rent , 24/7 Access , 24/7 Security , Access to internal breakout areas , Access to kitchen facilities , Access to secure printer and scanner , Building outgoings included , Electricity usage included , Flexible terms , One simple bill for everything related to your workspace , Plug and play furnished workspace , Regular cleaning , Secure high speed Internet Building features , Abundance of natural light , Air conditioning , Boutique low rise buidling , Car parking in building (Paid) , Close to public transport , Disabled access and facilities , Onsite Cafe / Restaurant , Print, scan and copy facilities , Taxi / Uber stand close to building 500m to North Ryde train station Atlantis restaurant next door 6 minute drive to Macquarie Park Shopping Centre 5 minute drive to Macquarie Park Business District WHO IS OFFICE HUB? Office Hub is Australia & New Zealand\'s No 1 small office space commercial real estate agency. We have the largest collection of shared spaces, coworking and serviced offices in Australia & New Zealand, perfect for 1 100 employees. Let us take you on a tour of all the spaces that fit your needs and budget. Our service is complimentary and we work for you and the landlord to negotiate the most competitive deal in the market. Let us show you how shared and serviced offices can be the perfect solution for your business. www.office hub.com.au www.office hub.co.nz Conditions apply A portion of the square meterage factors in access to shared space. Price includes any incentives offered. This is for new tenants only. Redevelopment for new and exciting retail centre in Glenorie! Tenancy 107 will be fitted with a grease trap making it an ideal location for a cafe/food outlet. Ample parking is available for customers. The space is versatile and would suit many retail types such as medical specialists, optometrists, florists, barbers, travels agents the possibilities are endless! Over 50% of retail space leased already! Incorporating 2,998 square metres of retail space and more than 350 square metres of office space, The Village Glenorie will be the centrepiece of the area. The tenant mix includes a boutique opulent gymnasium, Glenorie’s landmark award winning Glenorie Bakery, butcher shop, newsagency, post office, dentist, hair and beauty salons, gifts and homewares and a proposed child care centre. There are also 20 beautifully appointed apartments for sale at The Village Glenorie that will include the highest standards in finishes and appliances. The Village Glenorie is located on the corner of Old Northern Road and Post Office Road in Glenorie in Sydney’s North West region directly opposite a major supermarket. Please contact our office for further information on this rare opportunity within The Hills District. Redevelopment for new and exciting retail centre in Glenorie! Tenancy 105 will be fitted with exhaust and grease traps making it an ideal location for a cafe/restaurant. Ample parking is available for customers. The space is versatile and would suit many retail types such as medical specialists, optometrists, florists, barbers, travels agents the possibilities are endless! Over 50% of retail space leased already! Incorporating 2,998 square metres of retail space and more than 350 square metres of office space, The Village Glenorie will be the centrepiece of the area. The tenant mix includes a boutique opulent gymnasium, Glenorie’s landmark award winning Glenorie Bakery, butcher shop, newsagency, post office, dentist, hair and beauty salons, gifts and homewares and a proposed child care centre. There are also 20 beautifully appointed apartments for sale at The Village Glenorie that will include the highest standards in finishes and appliances. The Village Glenorie is located on the corner of Old Northern Road and Post Office Road in Glenorie in Sydney’s North West region directly opposite a major supermarket. Please contact our office for further information on this rare opportunity within The Hills District. Redevelopment for new and exciting retail centre in Glenorie! Tenancy 101 fronts onto Old Northern Road Glenorie, opposite a beautiful courtyard with ample parking available. The space is versatile and would suit many retail types such as medical specialists, optometrists, florists, barbers, travels agents the possibilities are endless! Over 50% of retail space leased already! Incorporating 2,998 square metres of retail space and more than 350 square metres of office space, The Village Glenorie will be the centrepiece of the area. The tenant mix includes a boutique opulent gymnasium, Glenorie’s landmark award winning Glenorie Bakery, butcher shop, newsagency, post office, dentist, hair and beauty salons, gifts and homewares and a proposed child care centre. There are also 20 beautifully appointed apartments for sale at The Village Glenorie that will include the highest standards in finishes and appliances. The Village Glenorie is located on the corner of Old Northern Road and Post Office Road in Glenorie in Sydney’s North West region directly opposite a major supermarket. Please contact our office for further information on this rare opportunity within The Hills District. Redevelopment for new and exciting retail centre in Glenorie! Tenancy 104 will be fitted with exhaust and grease traps making it an ideal location for a cafe/restaurant. Ample parking is available for customers. The space is versatile and would suit many retail types such as medical specialists, optometrists, florists, barbers, travels agents the possibilities are endless! Over 50% of retail space leased already! Incorporating 2,998 square metres of retail space and more than 350 square metres of office space, The Village Glenorie will be the centrepiece of the area. The tenant mix includes a boutique opulent gymnasium, Glenorie’s landmark award winning Glenorie Bakery, butcher shop, newsagency, post office, dentist, hair and beauty salons, gifts and homewares and a proposed child care centre. There are also 20 beautifully appointed apartments for sale at The Village Glenorie that will include the highest standards in finishes and appliances. 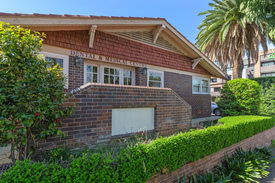 The Village Glenorie is located on the corner of Old Northern Road and Post Office Road in Glenorie in Sydney’s North West region directly opposite a major supermarket. Please contact our office for further information on this rare opportunity within The Hills District. Bike Racks & Showers | Dedicated Receptionist | Regular Cleaning $244pw | 2 Person Workspa..
PROPERTY OVERVIEW $244pw Price incl. Modern serviced office in Macquarie Park business precinct. This bright and modern office is full of natural light and price includes internet, rent, electricity, building outgoings and all utility bills plus regular cleaning & 24/7 access. A great bonus is the dedicated receptionist who will greet your clients with the utmost professionalism. An affordable office space for a wide range of businesses – keep costs down and productivity up! Available now short or long term! This building is situated in the prestigious Eden Park Drive development within the popular Macquarie Park business precinct, which is considered a major Sydney business district with many high profile corporations and lots of commercial and business activity. This quality building is equipped with on site bike racks, showers, a licensed cafe and childcare facility making it easy to juggle all aspects of your life at once! This location and building is a great opportunity for any individual or business who prioritises convenience. The advertised office space is perfect for a team of 2. If you need more or less space, we have over 30,000 furnished workspaces all over the world suitable for a team of 1 to 200+. Our award winning team offer a free service that will help you find the perfect solution for your needs, so reach out if you need more help. What you get for your weekly rent Furnished office with desks, chairs and lock up storage units Complimentary receptionist to meet and greet your clients Unlimited commercial grade internet service Electricity usage included Regular cleaning Telephone number & handset Unlimited kitchen supplies, incl. tea, coffee & filtered water Prestigious business address to put on your cards Flexible terms from 1 month 2 years Ability to bring your existing phone number over 24 x 7 access to your office 24 x 7 security Office features Modern facilities Full mail management and postage Large boardrooms and meeting rooms for use Signage board in foyer to highlight your business name Quality finishes and amenities throughout Professional environment Server / Comms rooms available for server storage Building features Modern high rise classified as an "A" grade building High speed lifts Car parking in building and surrounding areas Dedicated on site management team Bike racks Separate male and female change room facilities with showers, toilets and lockers On site lunch restaurant, sandwich and coffee bar Beautifully landscaped gardens Childcare facilities 12km's from Sydney CBD 200m from Macquarie Park Station Easy access to the M2 Motorway, Lane Cove and Epping Roads Macquarie Park Shopping Centre are only minutes away WHO IS OFFICE HUB? Office Hub is Australia & New Zealand\'s No 1 small office space commercial real estate agency. We have the largest collection of shared spaces, coworking and serviced offices in Australia & New Zealand, perfect for 1 100 employees. Let us take you on a tour of all the spaces that fit your needs and budget. Our service is complimentary and we work for you and the landlord to negotiate the most competitive deal in the market. Let us show you how shared and serviced offices can be the perfect solution for your business. www.office hub.com.au www.office hub.co.nz Conditions apply A portion of the square meterage factors in access to shared space. Price includes any incentives offered. This is for new tenants only.